When shopping for any kind of seat cushion, it's important to find the right fit. Poor seating support can lead to pressure ulcers and pressure sores, which are dangerous threats to your health. 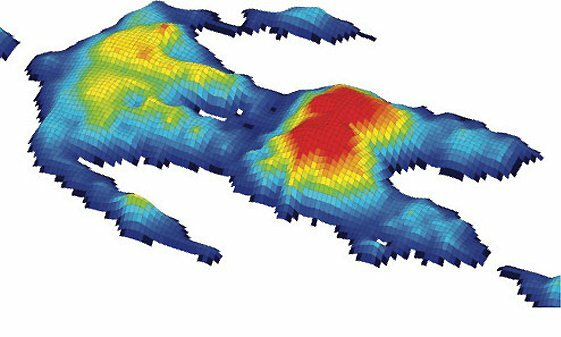 Pressure mapping is a valuable part of keeping you safe and mitigating health care costs. We employ the XSensor® pressure imaging system, an advanced wound care tool used to visually map your seating surface. The image produced gives us a precise guide to locating pressure points, which we can then use to quickly prescribe the best possible product for posture, stability, and comfort — and then adjust it to your needs. The XSensor® system is an award-winning innovator in the field of pressure imaging. Pressure imaging is the clinical process of mapping out pressure distribution so that the surfaces you use, whether a chair or bed, are custom fit to your particular body, eliminating the risk of sores or other injury. We are proud to be able to provide this advanced technology that allows us to feel confident — and to give you confidence — that your seating surface is an exact fit for your body, one that will go beyond avoiding sores to ensuring daily comfort. We invite you for a free consultation with our medical equipment experts. We are ready to help you, whether you need basic living aids or advanced hardware. XSENSOR® Pressure mapping digital display.